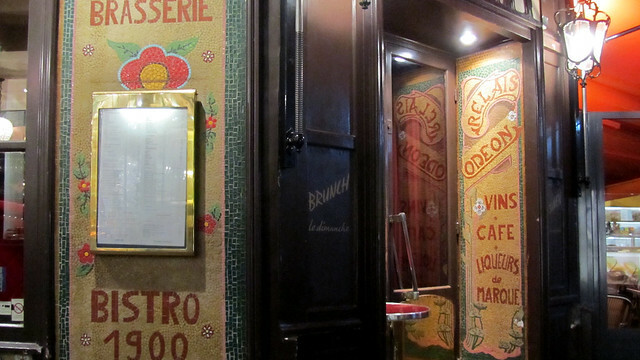 22 Jan: I love tiled walls in Paris. It is a touch of something exotic which also transports me back in time, to the era where everything is golden and nostalgic, and art form can be seen in every little turn and corner. Not that I’ve been in that era, mind. Afterall, I didn’t manage to make it to Stephen Hawking’s party! 23 Jan: There are some small alleys near where I live and they always seem a bit sinister and creepy when it’s dark outside. Compound it with the fact that most of them have poor lighting, it is easy to imagine all kind of things happening in the farthest corners. Gimme more light please! 24 Jan: As someone who doesn’t shop a lot, I also don’t often pay attention to window displays. Yet, the odd times that I do, I notice something a little quirky – enough for me to stop and fish the camera out of my bag. 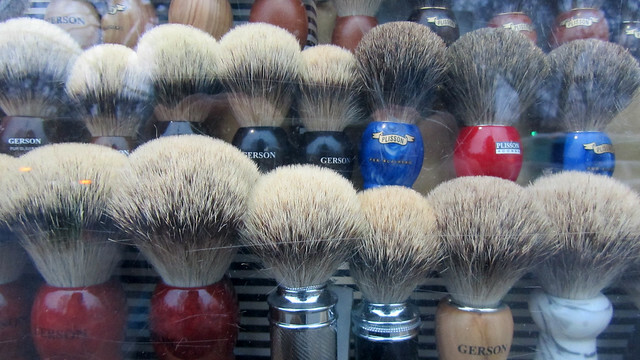 While on my way to work, passing the front of a pharmacy, rows of small shaving brushes caught my attention. I don’t know of anyone using this nowadays, since most guys I know either use an electric shaver or sporting the rugged look. Is the art of lathering foam for wet shave dead? 25 Jan: Modern hairdressers try hard to have this chic and minimalist look, often with dark paneled interior and gleaming surfaces. 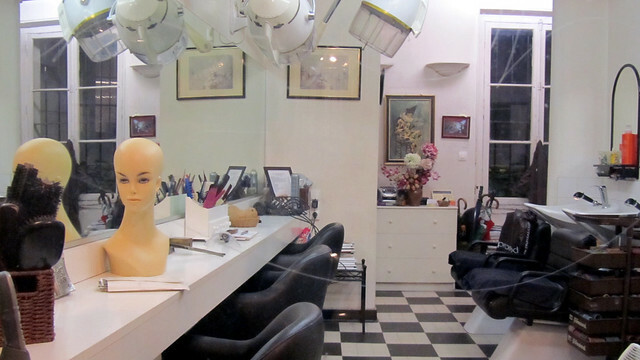 It was therefore a refreshing change to see something more traditional, hair salons of the past where the perming machines are large extra-terrestrial-like helmets overhead! Sadly, business here was not exactly bustling, and the owner put a sign at the door that she was in her apartment. I guess regulars would know where to find her. 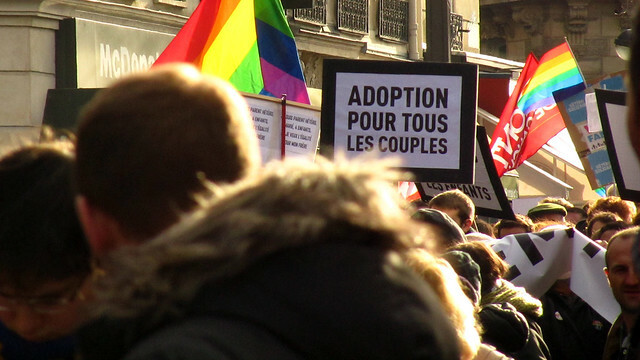 27 Jan: A couple of weeks ago, conservative demonstrators took to the street to oppose the proposed law that will confer equal civil rights to homosexual couples in terms of recognition of marriage and permission to adopt. Today, pro-equality as well as pro-LGBT groups made their voices heard. It was a noticeably smaller demonstration but not insignificant – this is a signal that many are ready for the change. Mobilising a group that’s behind a proposed law is not small feat. 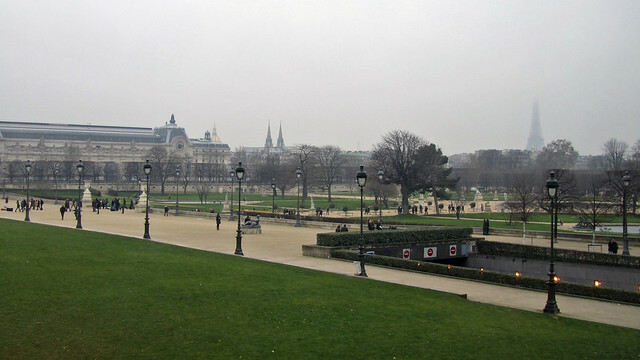 Some took it as a positive sign, when the heavy rain of the morning cleared into a bright sunny afternoon, just in time for their walk from Denfert-Rochereau to Bastille. Project 365 – Week 3 Happy be one! 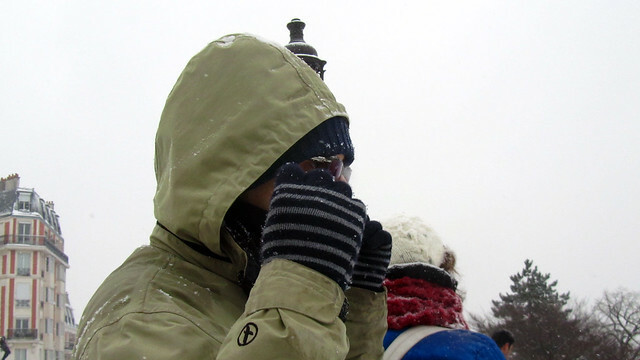 23 Jan: hehe and this is still Paris. 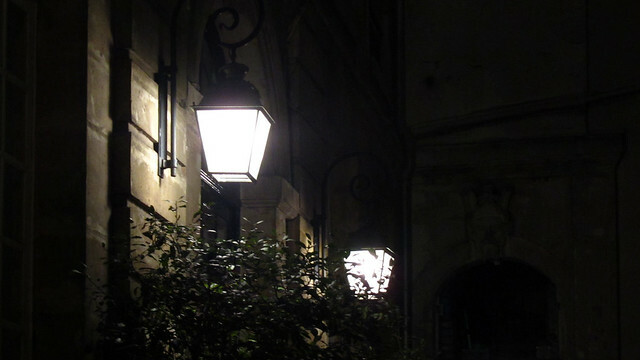 i was kinda shocked when i moved to Montpellier: the lighting is much lower there! and the empty streets at night (more cars than pedestrians), a bit creepy… but i guess it’s mostly because i’m so used to the quite well-lighted streets of Paris and people walking about at all hours! the back is alright now and let’s hope it stays that way! I don’t like shopping much either, so don’t notice windows as much as I should – but there’s a divine chocolate shop near La Bourse which has not only the prettiest windows, but lovely displays as well. Fun review you have here!